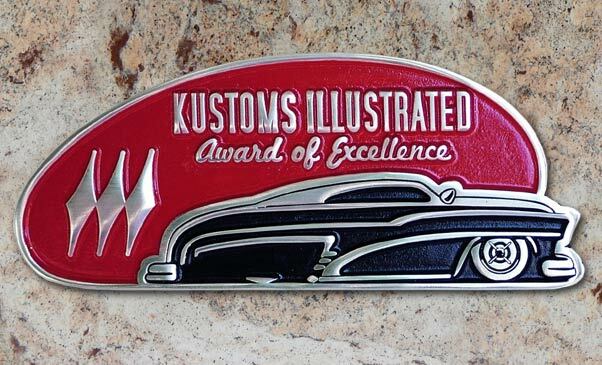 Leading Custom Car magazine Kustoms Illustrated announces the 2014 Lead-East winner of their Award of Excellence. 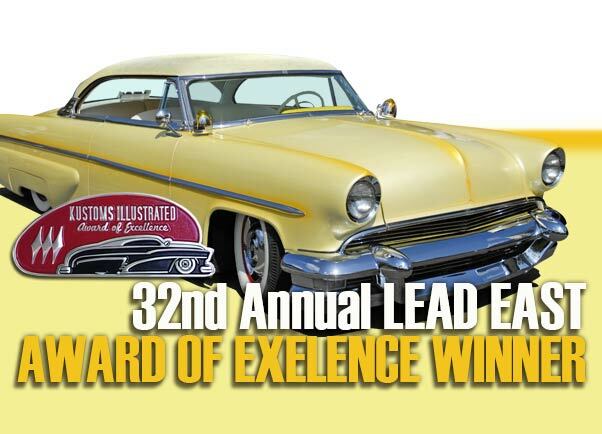 In late August 2014 Don “The Egyptian” Boeke’s 1955 Lincoln won the Kustoms Illustrated “Award of Excellence” at the world famous Lead East Show.Congratulations to Don for winning this prestigious award presented by the leading Custom Car magazine in the world. 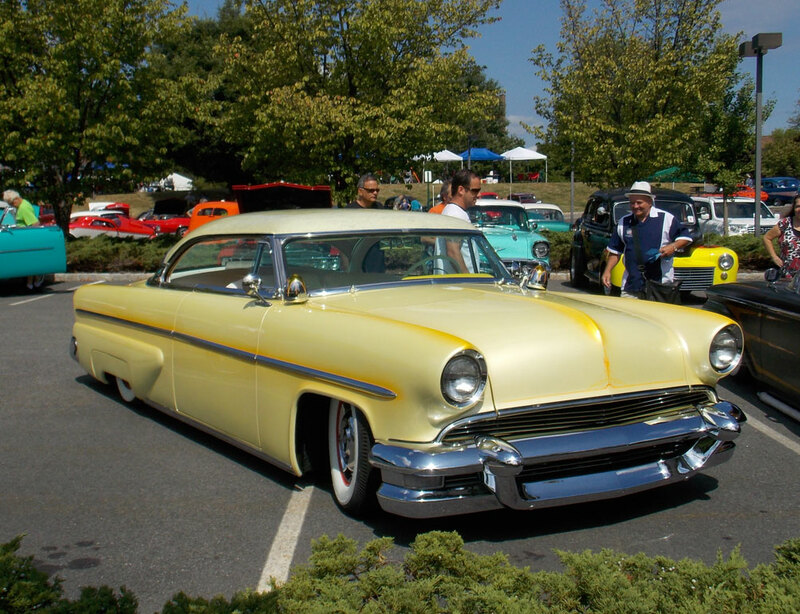 The 32nd Annual LEAD EAST World’s Biggest 50’s Party was held from Wednesday, Aug. 27 thru Sunday, Aug. 31, 2014 in Parsippany NJ. 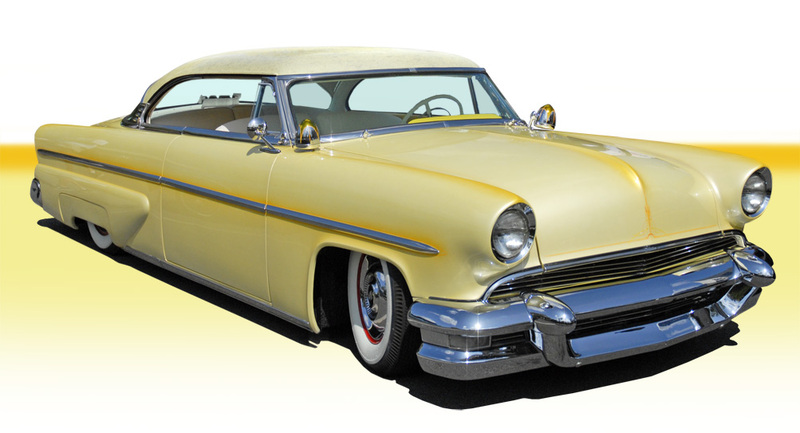 Don’s 1955 Lincoln has a well balanced chop top and tasteful customizing throughout, making it a very elegant custom. The pearl yellow paint with candy dark yellow fogged highlights add to the gracefulness and elegance of this fine traditional custom. 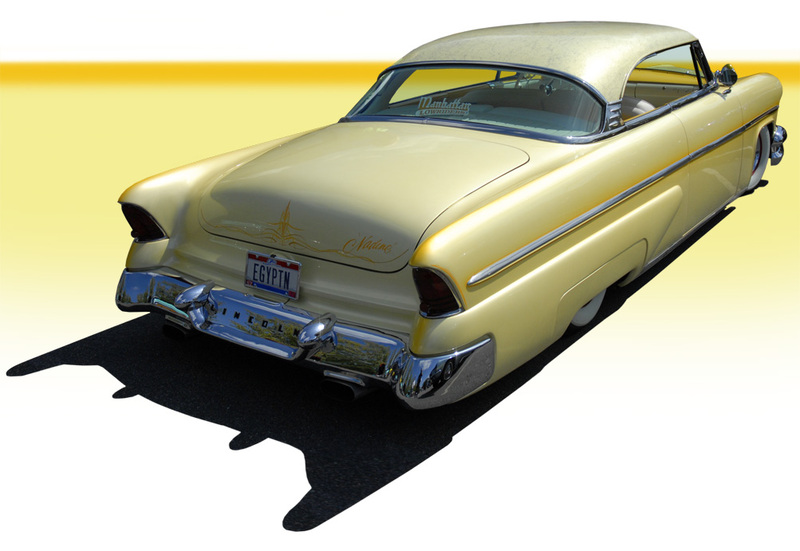 The interior was upholstered in a period correct pattern in white and dark yellow. 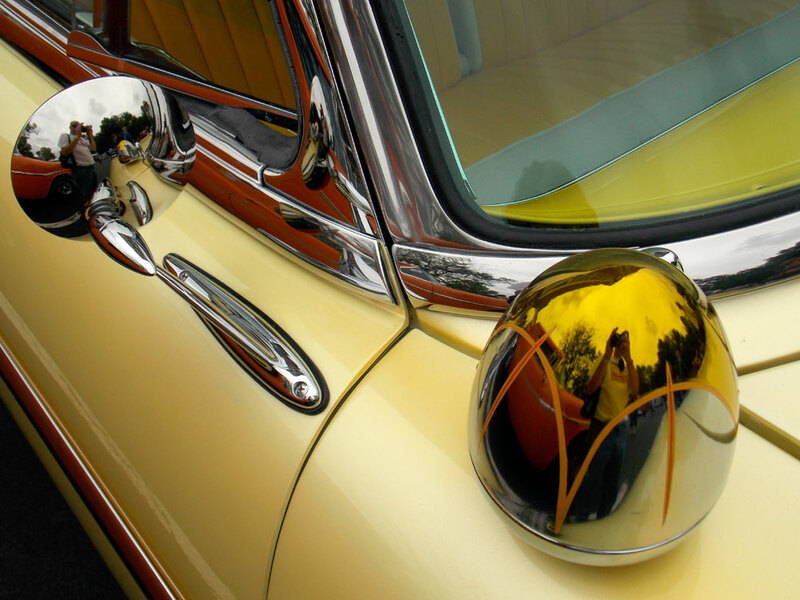 The dash and window garnish molding were painted the same color dark yellow to blend the inside and outside perfectly. 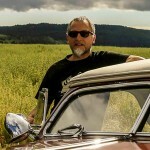 Congratulations winning this great award Don! 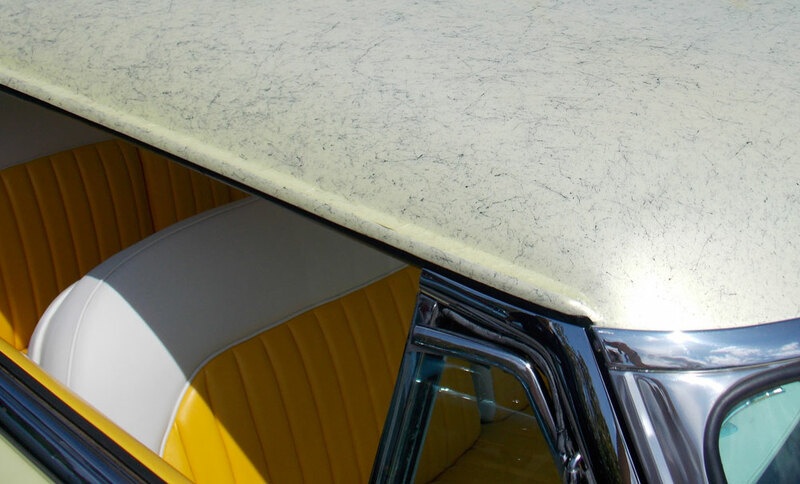 The top of Don’s Lincoln was done in pearl very light yellow with darker yellow fogged in edges and gob webbing for the perfect late 1950’s feel. Scalloped and pin-striped spotlights and amazing attention to detail everywhere you look. 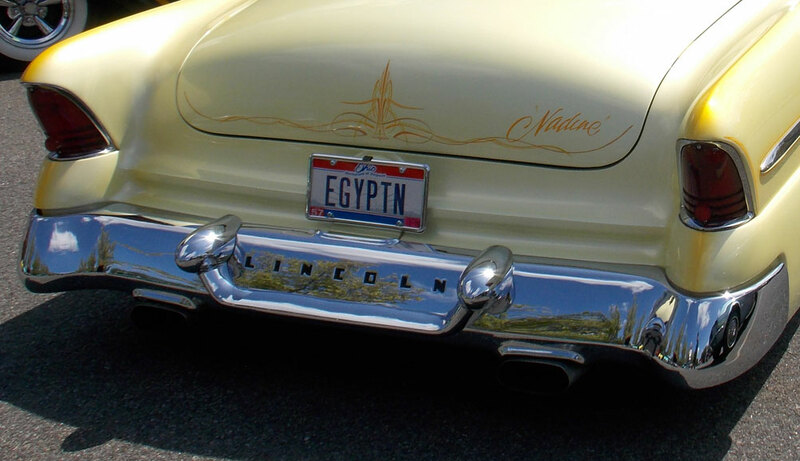 The owner is referred to as ‘the Egyptian’ and his business is the Egyptian so that is his plate.